The military coup attempted in Turkey has failed and its leaders have fled to Greece, where they are seeking asylum. 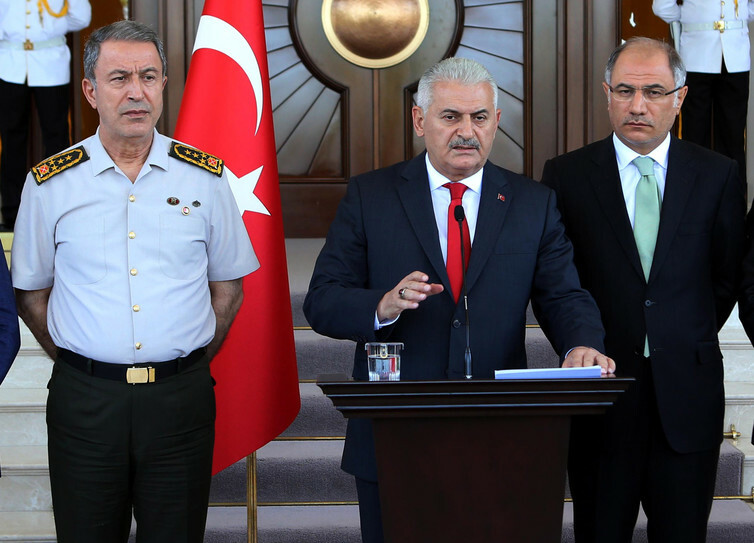 It took less than 24 hours for forces loyal to the Turkish President to regain control. More than 200 people have been killed and up to 3,000 military personnel have been detained. Coups do still happen but they are an increasingly rare event, particularly in the developed world. The modern political landscape just makes it much harder to seize power through military means in the 21st Century. Turkey is a member of NATO, which means that its government can expect to be protected by other nations if a coup is attempted. A core principle of NATO is that the organisation sees an attack on one as an attack on all. Greece put its national army on high alert almost as soon as word of the coup got out. Troops were in a state of readiness within hours. Then, if NATO does take military action, the UN gets involved to restore peace and security. Ultimately the fate of the military government depends on the UN’s reaction. The UN will step in if an event is considered a threat to international peace. Although it must be said that the UN has not traditionally ruled military coups to be a threat to international peace, Turkey’s geographical location is an important factor. It is, after all, in the middle of a very volatile region. Even if plotters succeed in ousting a national leader, they then need to seek international recognition of their legitimacy. Up until the eve of the coup attempt, world leaders were often either ridiculing Recep Tayyip Erdoğan or at least expressing concern about his authoritarian tendencies. But most are correctly declaring their support for him in the wake of this incident. It’s difficult to know what would have happened if the coup had been successful but modern leaders aren’t particularly keen to support threats to democratically elected governments – even those with sketchy records. If a group did secure global approval for their coup, it would still be much harder for it to hold on to power than it might have been in the 20th Century. Interference from outside – from both enemies and friends – would be unavoidable. Be it human rights, exchange rates, monetary policy, arms control, warfare, environmental control, or minority rights, individual states have less and less meaningful control in this globalised world. In the UN human rights era, states no longer enjoy unrestricted sovereignty over what happens within their territorial confines. That’s generally acceptable for a democratic government, but makes it difficult for an unelected military regime to impose the kind of control it needs to hold on to power. As well as the UN, human rights groups such as Amnesty International, the Red Cross, Greenpeace, and Human Rights Watch are more active these days. The ability to drown dissent by sheer brute force is far more likely to be challenged both from within and outside a state. People who risk their lives to seize power obviously tend to be reluctant to relinquish it immediately, but we live in an era of “third generation rights”. Democratic governance is increasingly seen as a human right – indeed, the UN explicitly states as much. A military junta would face unrelenting pressure to return its country to democratic rule. Just over 40 years ago, there were fewer than 30 established democracies in the world. Almost half the world’s countries can now be considered to be democracies, but the number of full Western-style democracies is low – only 20 countries. Nevertheless, this is a phenomenal change on a global scale, and offers compelling proof that the idea of democracy has genuinely universal appeal. Today, more people, and a larger percentage of the world’s population, live under democratic self-government than at any time in human history. Indeed, the Turkish people reacted very unhappily to the sight of the military on their streets, and have not been kind to the failed plotters. On the whole, it’s best that the Turkish military coup failed. The universalism of democracy should not be sacrificed on the altar of the unpopularity of current rulers. And international law continues to make it harder and harder for that to happen. ← Nice attack: when the mundane can be used for acts of terror, how do we protect people?